When you try to configure connection to CRM onPremise using Outlook, you can encounter this error. 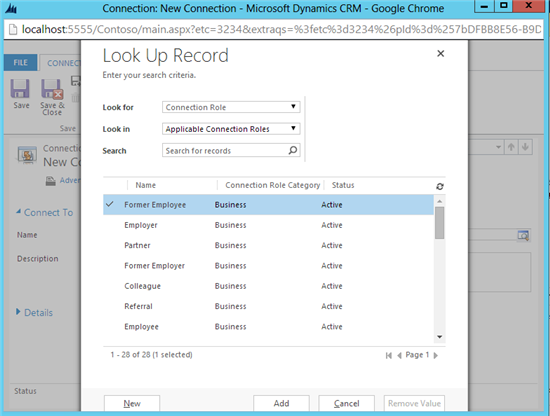 "There is a problem communication with the Microsoft Dynamics CRM server. The server might be unavailable. Try again later If the problem persists, contact your system administrator" when you want to connect to CRM using CRM for Outlook Client. It will never ask you and show you prompt to input your credential, unlike the website which will prompt you a credential box. And it is required to you to join Domain. Then your PC user name to login should use this joined domain account, not your private user, for example, aileen-pc. But, without join domain you actually can connect using Outlook. I was thinking that let’ say we are outside from the Domain connection, then go outside without internet, why we are still can connect using the Domain\username username credential? It is actually store your credential in the Windows Credential as well. So, to make it works, add your URL to the Windows Credential Manager. But, this is also based on the Network Security applied to your Organization. Of course, you are also required to ensure that the server address URL you type-in is correct and check your Deployment Manager. 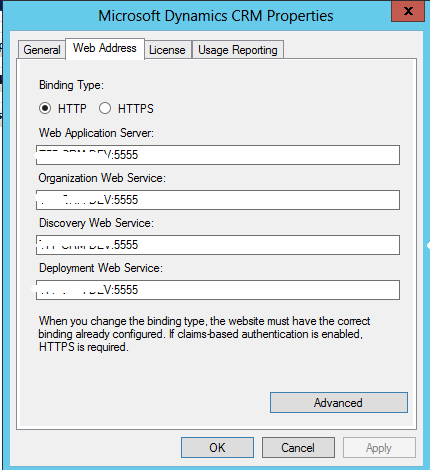 Make sure the correct Binding Type (HTTP/HTTPS), server name or using IP, and Port. 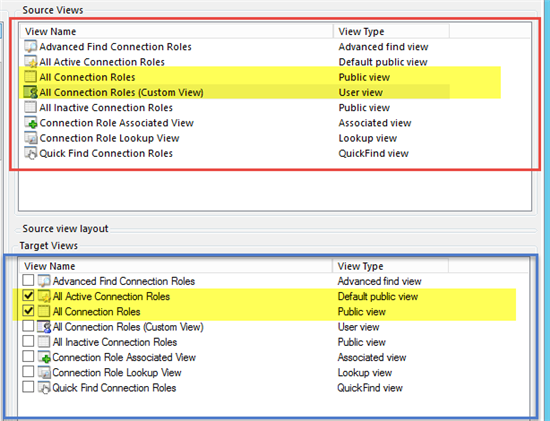 In CRM 2011 or CRM 2013, there is a feature called as Connection Role. When you go to the Connection Role Lookup, there is a custom view : Applicable Connection Roles. New fields/columns you defined before has been added. CRM 2011/ CRM 2013 Error : A configuration element with the name 'Xrm' under the 'contexts' collection does not exist. In this link, there is a guide to pass the date parameter to oData method. Sometimes it works, but sometimes it does not. It depends on the time you send. Because actually, after I try to access the URL that I build, yes, it result the error. So, you have to have H, m, and s in two characters format. And you also do not need to pass until millisecond, it will not work! Because your Quote status is currently Draft or Already Won. Make sure that your Quote is already Activated, because it is the valid status before you close the Quote as Won. Otherwise, you will face this issue, don’t forget to check your Quote Status. When you create a New Field, often, we just put the name of the field, that’s all and does not care the others, since it is not mandatory as well. Okay, let’s go to a custom field in Account as example. Let’s say I create a custom field to link Account with Country, I replace the text field standard field Address 1: Country to this field, then put in the Form to get the field in the Template. Well, we can see the tooltip description, actually it gives nothing, but just a common information, who care about this. Then, you give a proper description on this field. There are 7 advantages so far I can tell because of this field. 1. I create a custom field, then I give information about this, so that my project mate also can see this field and its information, “what is my purpose”, and “what is its usage”. Then, later, next 2 years, maybe customer wants to upgrade the version of CRM, then I might be forgot already why I should create this field? 2. When you want to see the detail of the field in the Form. 3. In the Form, I can help user to know what the field is. 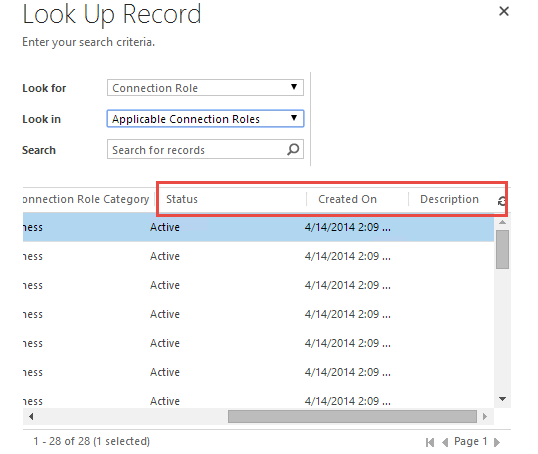 In CRM 2013, we can have a tooltip, if in CRM 2011, the tooltip is the from the Label Name only. 6. It saves your time to create a Documentation. You are as Consultant then want to create a Functional Design Document, you can use tool to generate the Metadata. And you can get the result, s not only showing the standard information for the Description field. Well, if number 1-5, they will help Functional Consultant and Users, now let’s help your Technical Consultant or the one who Develop the custom code. Yes, it is very helpful if your field is not easy to be guessed, such as hidden or special field for flag, so better way is by giving the field a proper detail description. Do you find another advantage for number 8? Then, comment and tell us! Actually, we can integrate CRM with Google Analytics to analyze the Visitors. I was thinking this when I try to analyze a blog. Then, I try to use my crm Demo Online as the tracked website. Then I create, then get the script code. Then Show to one of the Form, or any page you want, or maybe you create your Landing Page or can be Dashboard. Then, give them some times to refresh the tracking result. In My Previous Post, I was talking about Power Query for generating the CRM Data. The data source can be various, from SQL Server, Online Search, Public Data, Web, OData, etc. Now, I am talking about connect to CRM Data using OData Feed Request. Here, are some good blogs explaining about connect to CRM Data, either Online or OnPremise, good for reference and inspiration. 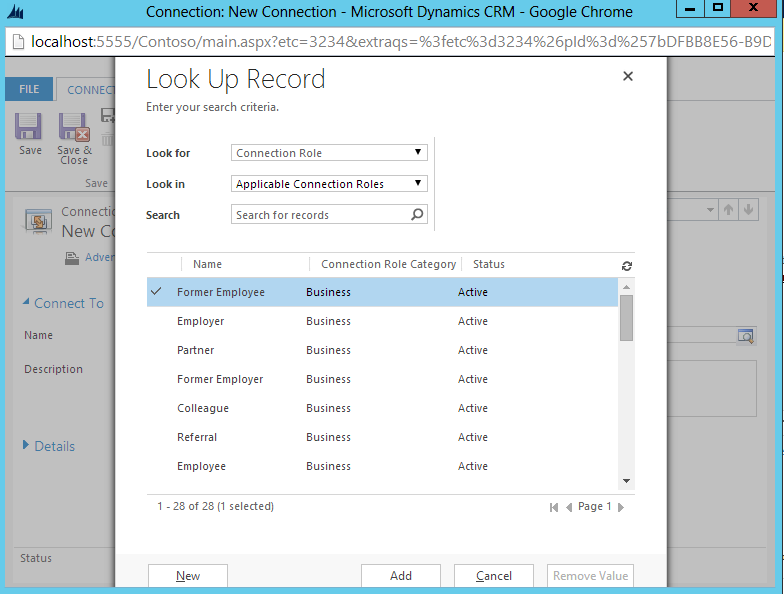 Using CRM OnPremise and Windows Authentication. If you have OnPremise Data, you also can access using SQL Server Authentication, it is easier. But, right now, I want to access to CRM Data (OnPremise), that I cannot access to the SQL Database, and now my Windows Credential is not supported, since my PC is not joining Domain. I also don’t have the Office 365 Authentication. Then, I click OK, it will prompt and challenge you for inputting correct Credential as I expected, since I don’t have default Credential for accessing this link. 3. Try using Basic, also cannot. Result : I don’t know what value to be inputted as Key, so cannot be authorized. Result : since this is not CRM Online and not support the Office 365 Authentication, so cannot be authorized. I was thinking about this, it should be Basic can afford this one, but in this case, I cannot use the Basic Authentication, I don’t know why. Then, I suddenly found a workaround by remembering some old-fashioned way, there is to use the Windows Credential Manager. Or you can just type it in the Search Box of Windows. 3. Type in the Information you usually input to access your CRM through Browser. 4. OK and Save, here is the summary. Back to Your excel, and try connect using Windows Credential, and it will work. I was attending a SQL Server 2014 Launching in Malaysia. Most of them were talking about PowerBI and SQL on the Cloud. Then, one of the best feature I can realize is the capability of Power Query to Query using external data source from Online Search. It means that Power Query has capability to extract Public Data into directly to the Worksheet Table, without letting the user open the browser, then getting the data, copy one by one to the Excel table records. Wikipedia is one of the greatest source, they provide us the raw data. Okay, then luckily, I found this method and I will explain to you. 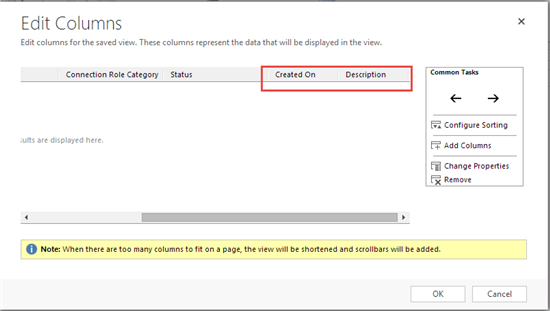 What you and I need are:Excel 2013 or older version with Power Query. Then, here is the Magic. 5. Then I do the same thing for my next requirement. If I don’t use this feature, I have to go to the Public Data, for example Wikipedia to get the data and then copy paste to our Excel file. And beside that, I also can go to specific web URL and specific Database as source as well, based on the Authentication, of course, since some of them are not public data. By using this guy’s help, I can generate many data to my CRM without compiling, copying, and pasting the data from Public Data to Excel It gives me a very good shortcut.